Whether you’ve needed oral surgery for a while or just recently schedule it, read on to see how this procedure can help you achieve a healthy smile. At New Image Cosmetic & Family Dentistry, we know that surgery of any kind can seem intimidating. We strive to allay your anxiety with our skilled staff, Doctors, modern equipment, sedation options if needed and complete restorative treatment. Consider our office when you have a need for oral surgery in Camas, WA or elsewhere in Clark County. Impacted Teeth: Impacted teeth don’t have enough room to erupt and often result in overcrowding. The most common impacted teeth are the third molars, or wisdom teeth. Impacted teeth can also make you more susceptible to periodontal disease. Luckily, oral surgery can remove these teeth and make more room. Dental Implants: Missing teeth are a fairly common occurrence due to congenitally missing teeth or teeth lost due to decay, trauma or infection. At New Image, we help patients see the benefits of this more natural choice of tooth restoration or denture support using dental implants. We guide you through the whole process of diagnosis, planning, placing implant(s) and restoration. Corrective Jaw Surgery: If you don’t have sufficient bone to place an implant, we can also perform bone graft surgery. Whether you have irregular bone structure or jaw shape as the result of natural growth or an accident, it can often be reconstructed via oral surgery. 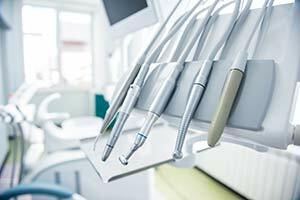 As you prepare for a major dental procedure, talk with our helpful staff and doctors. Our Vancouver, WA office is known for its customer service on patient satisfaction. We want our patients to have healthy and long-lasting smiles, and we can help you do what it takes to get there. We also work to educate our patients. We’ll not only remedy the dental issues you face, but we’ll help you know how to prevent future problems. When you need for oral surgery in Clark County, WA or throughout Southwest Washington, give us a call at (360) 604-7151.